Ideal for anyone who is looking for some extra storage in their bedroom but they wish for a beautiful stylish piece of furniture. 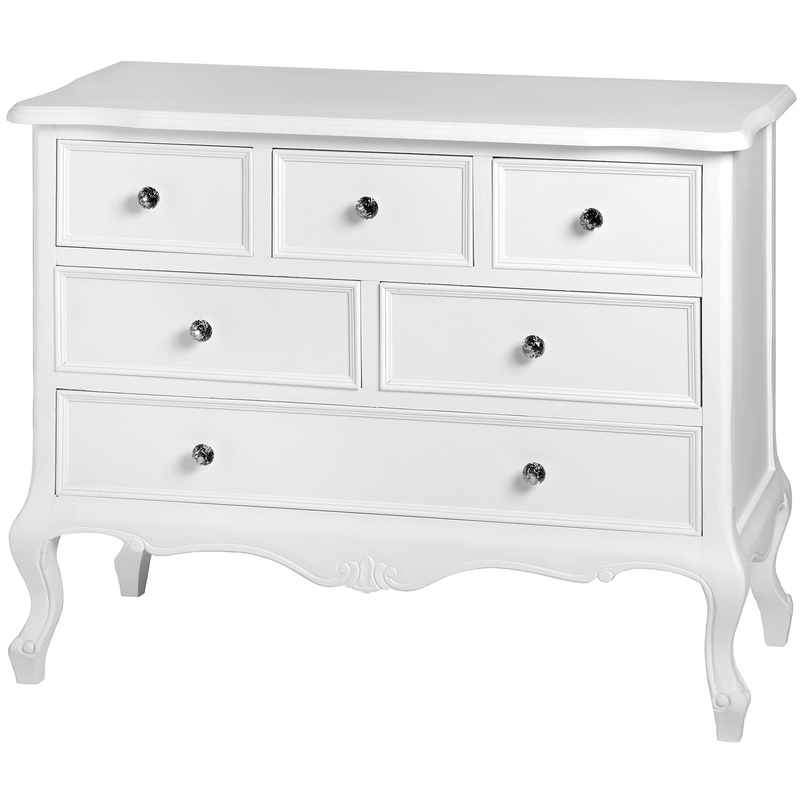 This Florance White 6 Drawer Shabby Chic chest is the solution for you. Made from gorgeous sourced wood and finished in an antique white finish, this will surely become an instant favourite amongst your home furniture.